Hospital administrations have set their sights on reducing patient length of stay (LOS), both because of changing reimbursement requirements and the fact that reducing LOS can also decrease the number of hospital-acquired conditions (HACs), which have payment reductions of their own. These efforts have led to a flurry of research into factors that impact LOS and how to address them. However, due to the diversity of patient conditions, much of the literature focuses on a very specific class of patient (e.g., patients with acute kidney damage). Beyond those two factors, though, there are several general operational considerations that have an impact on LOS and are more straightforward to address. Large Upside: Since patient access is inversely proportional to LOS, the impact of even an incremental change in LOS can be quite significant. For example, if a 300-bed hospital with an average LOS of four days was able to reduce the average LOS by five percent (i.e., by five hours), they could treat over 1,350 more patients each year. That’s a considerable increase in patient access and millions of dollars in additional income from the same fixed capacity. In addition, addressing these issues also typically improves the patient and provider experience; it leads to reduced wait times in the emergency department (ED), fewer issues with boarding, quicker discharge and an overall “saner” experience for everyone involved. Incorrectly assessing the required size of a unit leads to a higher percentage of patients not being placed into their target unit, longer wait times to get patients out of the ED, and more complexity in decision-making. - Solution: The correct number of required beds can be computed for a given unit by analyzing historical patient volumes by service. In particular, medicine units have a tendency to mix patients. For example, medicine units accept general medicine patients in addition to the specialty patients for whom the unit is intended. To remedy this, hospitals can reduce the size of the specialty units and open a larger (“virtual”) general medicine unit. Although virtual and not necessarily located in one single unit or floor, this virtual unit can still consist of several sizeable subunits. This approach leads to simpler patient placement and makes it easier to co-locate patients assigned to a given clinical team. - Potential Implementation Challenges: After establishing the correct unit sizes, management needs to formulate the implementation details in terms of geography and team assignment. This can lead to some disruption during the transitional period. Also, as new units are opened, they will need to be assessed in the same spirit. Incorrectly placed patients end up at the wrong level of care and/or being treated by clinical staff who do not specialize in the condition for which the patient was admitted. This can lead to slower recovery times and even clinical complications. Getting the right patient to the right bed at the right time can reduce LOS. - Solution: Use an algorithmic approach to patient placement to balance load across units and minimize the number of patients not being placed in their target units. - Potential Implementation Challenges: Most hospitals already have some patient placement system based on rules of thumb. Transitioning to a more dynamic algorithmic approach should have little impact on the workflow. The inpatient census is notoriously volatile in most hospitals. Spikes in the census cause huge difficulties in capacity management, staffing and patient placement. Accurately predicting patient census can be vital for daily unit management. Detecting future spikes in the census allows hospitals to staff accordingly and balance elective admissions with spikes in ED volume. - Solution: Utilize multiple data sources and sophisticated machine learning techniques to provide a more accurate and granular forecast. Also, breaking the day into useful segments allows for better tactical planning. - Potential Implementation Challenges: Census forecasts will need to be reviewed on a regular basis — perhaps multiple times a day. Usually, this takes the form of a quick huddle and is only a minor change to the workflow. The flow of patients from the OR is significant and can cause spikes in the inpatient census but is more controllable than the census contribution from the ED. Optimizing the elective surgery schedule with respect to recovery time yields a flatter inpatient census. - Solution: Forecast the volume and case mix of surgeries together with the associated recovery time per case and apply lean manufacturing techniques combined with an optimization engine to build surgery templates that avoid spikes in the downstream census. - Potential Implementation Challenges: Surgeons need to be willing to comply with the scheduling templates. It may be a significant change in the way surgeries are usually scheduled. The process of admitting patients from the ED is time-intensive, highly variable and frequently leads to delays. Difficulties in communication between ED providers and hospital physicians together with delays in having the right bed ready on time are the two major bottlenecks in the process. Visibility tools can allow physicians to identify delays in the system and react accordingly. - Solution: Visibility into the ED and the inpatient units allows for better decision-making and accountability for physicians, RNs, transport staff and housekeeping. A summary view of ED activity allows users to quickly view the number of patients waiting for a bed, average boarding times, etc. A unit view displays the number of occupied, dirty and available beds. - Potential Implementation Challenges: Constantly monitoring a mobile visibility system can require cultural change. Most hospitals employ a general approach to physician rounding with the activity usually occurring in the late morning or early afternoon. This timing can lead to a missed opportunity to discharge patients early in the morning. - Solution: Take simple measures such as maintaining a list of patients that can likely be discharged early and have a team round on these patients early the following morning. - Potential Implementation Challenges: This will require a change to the daily schedule for clinical teams. Additional incentives may need to be introduced. The hours of operation for certain procedural areas, labs and imaging can impact LOS. For example, a patient admitted on Friday afternoon may have a longer stay due to test results not being available since the lab is closed on weekends. - Solution: Identify which areas are having an impact and open them for a half-day on Saturday. - Potential Implementation Challenges: Certain areas will be required to have an increase in hours of operation, requiring a significant cultural change and perhaps the hiring of additional staff. At the end of a patient’s stay, there are many avoidable delays in discharge, such as issues with insurance documentation, transport delay and lack of space at a specialized nursing facility. These delays could be avoided if case managers were alerted to the problem earlier in the patient’s stay. - Solution: Use a machine learning framework to identify key patient attributes that indicate possible difficulty in discharge. This risk model is used as an early warning signal to alert case managers to at-risk patients. Factors contributing to delays in discharge can be addressed early in the patient’s stay and greatly reduce the risk. Hospitals typically prioritize clinically urgent cases in the lab queue; less urgent cases are usually first-come, first-served. Moving a patient close to discharge up in the queue can avoid delays. - Solution: Implement a prioritized queue and identify patients that are close to discharge to ensure that discharge delays due to lab tests are minimized. - Potential Implementation Challenges: Most hospitals facilitate some prioritization in the lab queue for urgent cases. Updating the system to include priority for patients close to discharge is not likely to be a major issue. In some cases, it is more cost-effective to schedule certain procedures as outpatient rather than inpatient, particularly if the patient is local. - Solution: Identify candidate procedures and patients that can be easily transferred to outpatient. In some cases, it may be more desirable to move the patient to a local hotel and report back in the morning for an outpatient procedure. - Potential Implementation Challenges: Due to its clinical nature, this problem requires approval from an expert, and it is unlikely that an analytic system can identify candidate patients/procedures with the confidence level required. 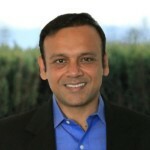 Sanjeev Agrawal is president and chief marketing officer of LeanTaaS iQueue. Sanjeev was Google’s first head of product marketing. Since then, he has had leadership roles at three successful startups: CEO of Aloqa, a mobile push platform (acquired by Motorola); VP Product and Marketing at Tellme Networks (acquired by Microsoft); and as the founding CEO of Collegefeed (acquired by AfterCollege). Sanjeev graduated Phi Beta Kappa with an EECS degree from MIT and along the way spent time at McKinsey & Co. and Cisco Systems. He is an avid squash player and has been named by Becker’s Hospital Review as one of the top entrepreneurs innovating in healthcare.